So this is Craggy Island!! This hike can be broken into two sections. A looped walk taking in the East side of the island and a looped walk taking in the West side of the island. If time is against you do the East side or rent a bike and do the lot! From the pier follow the waymarkers clockwise around the East side of the island. 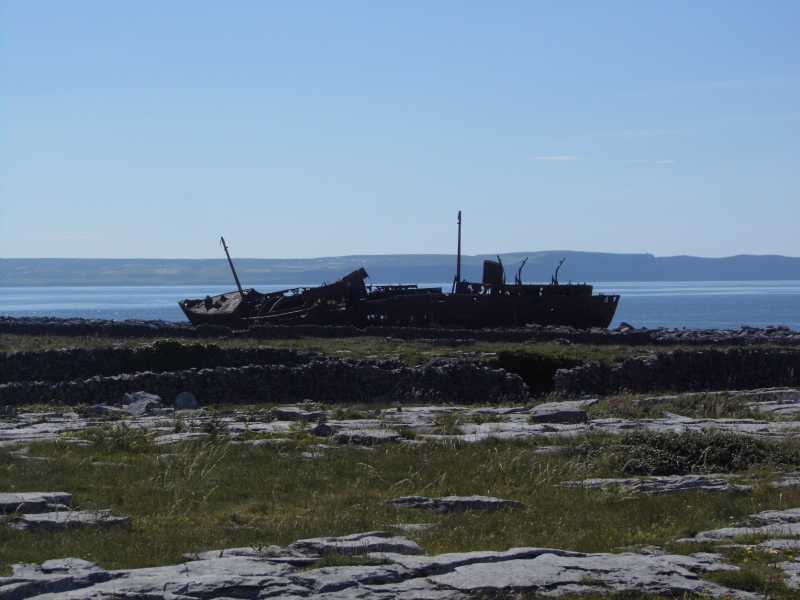 There are lots of sights to see on this loop including a shipwreck as seen on the Father Ted intro, lighthouse, castle and a signal tower, all the while looking across at the entire stunning Cliffs of Moher coastline. If you want to take in the actual high point on the island at 57 metres, it's somewhere past the Castle but it looks like it is on private land off the waymarked trail. I tried one attempt to reach it by jumping a few high walls but to no avail As I was at a height of around 50 metres and only about 100 metres away from the 57 meters I am ticking the box on this one.